We’re gearing up for the fifth #SFFpit, which takes place on June 23, 2016 from 8 a.m. to 6 p.m. Eastern. 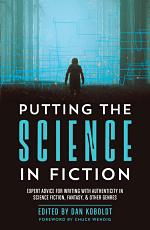 This twice-yearly event allows authors of completed fantasy/science fiction manuscripts to pitch their work (on Twitter) to literary agents and small press editors. If you happen to be such an author, agent, or editor, please consider yourself invited! You might want to join my mailing list if you want the latest info about this and future events. Today’s post is a list of do’s and don’ts for #SFFpit participants. When you’re done here, please also visit my post on 9 ways to get ready for #SFFpit. DO craft your pitches. The best pitches take time to write, edit, and squeeze into 140 characters. Give yourself enough time to work on them, to get critiques from CPs or author friends, and polish them to a high shine. DON’T pitch a manuscript that isn’t ready. I know it’s hard, but this event is for polished, submission-ready manuscripts. There will be plenty of other pitching contests for when your manuscript is finished. 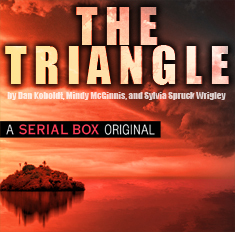 DO spread the word about #SFFpit on Twitter, Facebook, blogs, or other media of your choice. The more participants we have, the more attention we’ll get from agents and editors. DON’T forget to use hashtags. 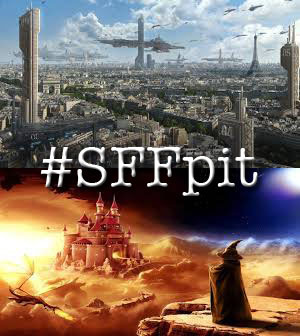 You need #SFFpit, of course, and might want to use hashtags for age category and genre/subgenre. You’ll find these on the main #SFFpit page. DO warn your followers that you’ll be tweeting a lot of pitches. They’ll appreciate the heads-up and be less likely to unfollow you. DO tweet your pitches at regular intervals. Once or twice an hour should do it. Using an app like Hootsuite or Tweetdeck can be advantageous. Importantly, your tweets can’t be identical (that violates Twitter’s TOS) so make sure to move the hashtags around or change a word. DON’T tweet pitches at someone (with the @). Most people find this annoying. Include the hashtag, and those who need to see your pitch will see it. DO try multiple pitches for your book. Variety is important, and some of your pitches may find a warmer reception than others. It’s also a useful writing exercise, because it forces you to pitch your book a few different ways. DO support your fellow authors by following and encouraging them. There’s no easier way to make a Twitter friend, and maybe they’ll return the favor. DON’T favorite pitches unless you’re an agent or editor. There’s nothing worse than getting a favorite notification only to realize that it was just another author who liked your pitch. DO report Twitter-bots and spammers using Twitter’s “Report” features. DON’T use the #SFFpit hashtag to self-promote. This is not the place to tout your book or editing service. DO make friends and have fun. That’s the most important thing. Follow some new people, start a conversation, or find a CP. If you do that, #SFFpit is a win for you. DO a little celebration. A nibble from an agent or editor is a rare, wonderful thing. Congratulate yourself on writing a winning pitch. DO your homework before submitting. Remember that it’s an invitation, nothing more. Before you submit, do your homework and make sure it’s an agent or editor at a reputable house. DON’T rush it. There’s no clock on submitting after a contest, so take enough time to make sure your query and partial are in perfect shape. DO follow submission guidelines. Most agents and editors will tweet them out on the hashtag. Follow them to the letter. Pro tip: include the pitch that was favorited in your query letter, to help jog his or her memory. DO keep querying. Contests like #SFFpit and #PitMad are fun, and they do result in offers of representation/publication. However, most authors (myself included) sign their agents via good old-fashioned querying. So keep doing that, no matter what. DON’T be disappointed if you didn’t get that favorite you were really hoping for. Historically, only about 15% of pitchers get a favorite from a literary agent. See the previous point and the next one. DO keep writing. That’s the most important thing. Just think about all of the other aspiring authors you’ve seen and remember that this is a worthy pursuit. Go for it.